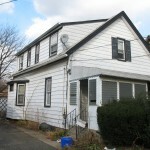 NEW YORK (CNNMoney.com) — You want to buy a foreclosure? Remember, there are both great opportunities and great pressures and pitfalls in this market. First, you have to decide at what stage of foreclosure you want to buy. There are three options: 1. pre-foreclosure; 2. sheriff’s auction; 3. repossession, called REO (for real estate owned by the bank). “The safest and best way to buy is when it’s a bank-owned property,” said Rick Sharga, a spokesman for RealtyTrac, the online marketer of foreclosure properties. Pre-foreclosure: These homes are in the foreclosure process, but they have yet to be sent to auction. Owners are typically trying to unload them because they are “underwater,” owing more on the homes than they are worth. As a result, potential buyers must negotiate a deal with the lender as well as the owner. That makes buying at this stage of foreclosure complicated and slow. But, you have the advantage of being able to inspect the home before purchase — which isn’t the case in other types of foreclosure sales. Sharga warned, however, that prices are usually higher than at other stages of foreclosure. Sheriff’s auction: These sales yield the lowest prices, but they are fraught with difficulties. Often the house is unavailable for inspection, leaving buyers with a long list of expensive repairs — and much larger bill than they intended. This stage is usually best left to the professionals, the contractors and investors who regularly bid on these places and know what they’re doing. Repossession: This occurs after the home has gone through a sheriff’s auction but does not sell and the bank gains possession of the property. Homebuyers may not get the best bargains during this stage, but they can nearly always perform a thorough inspection before closing, minimizing costly surprises. Plus, the property comes with a clear title. In addition, the banks selling these places may extend preferential financing terms to the buyers and may have made some repairs before putting the property on the market. He also pointed out that, since you’re buying from a corporation, not an individual, the buying process can be faster, so be prepared to move quickly. Many times a listing goes on sale on a Friday and is sold over the weekend. Getting caught up in a bidding frenzy: The banks often under-price repossessions, hoping to generate excitement, attract multiple bids and sell them quickly. The problem is, as in any auction-type sale, bidders get excited and pay too much. Underestimating repair costs: Take full advantage of the home inspection and don’t delude yourself about much the repairs will cost. “Take along someone who can give you a good estimate of how much repair costs will come to,” said Sharga. Redfin coaches its agents to warn buyers to factor in a cushion of 10% to 20% of the purchase price to pay for unexpected repairs. “If you end up not using it, go on vacation after 6 months,” Wiener said. Not knowing what comparable properties cost: This is important in any market but especially in this endeavor. In high foreclosure areas, prices can be eroding very quickly. You want to have the latest homes sale prices on repossessed properties and try to keep your bid comparable or lower. Buying in a neighborhood flooded with foreclosures: This is most important for people buying for the short-term. Any neighborhood saturated with REOs and foreclosures may be headed for further price falls. If you’re planning to relocate within a few years or buying a bigger house, that could mean selling at a loss. A better bet, if you can find it, is to buy the only foreclosed home in an otherwise stable community. That’s more likely to hold its value. Not having financing in place: If you don’t have a pre-approved mortgage, you’re really not in the market. “You have to be able to move quickly,” Sharga said. Banks don’t want to dilly-dally on sales; they’re losing money every day that homes sit on the market. That means they’ll often jump on the highest bid with the best financing already in place. Having a loan beforehand carries another advantage: It tells you how much credit you have available. You won’t spend time shopping for homes that are too expensive.